of the earliest distinctive cultural styles which is known from early inhabitants all across North America. web site or in our periodically produced "New Stone Age" catalogs. lance point. 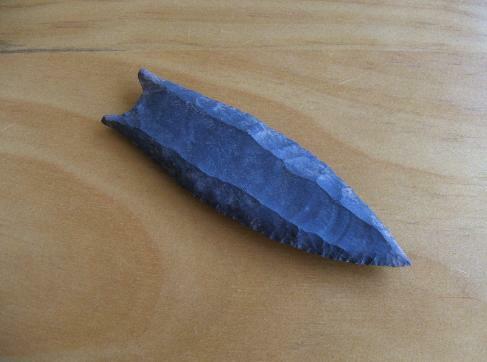 Made of a black Flint or Chert from Illinois. 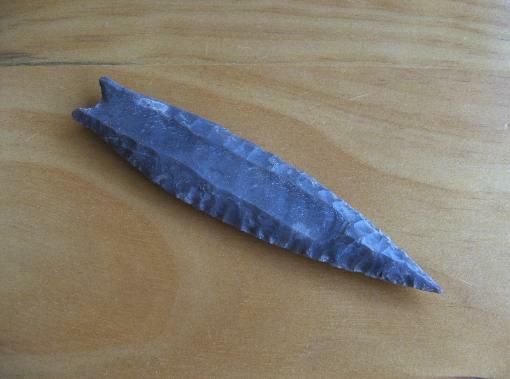 Flint -- acquired 2007 A.D.
lance point. 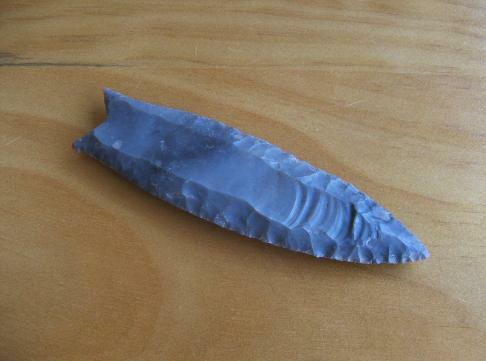 Made of a glossy gray Flint from Kentucky. Cumberland style point is 4-1/4" long x 1-1/4" wide. 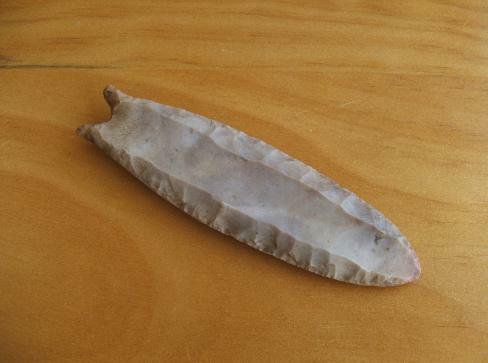 Tennessee Flint -- acquired 2007 A.D.
Cumberland style point is 4-1/16" long x 1-3/16" wide. 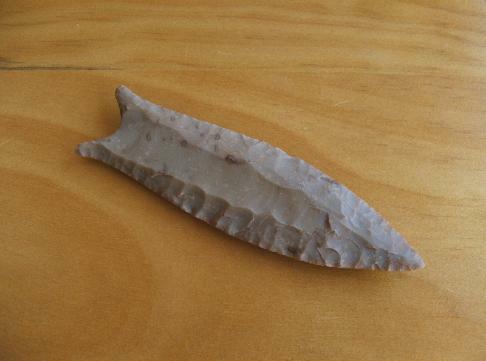 Kentucky Flint -- acquired 2007 A.D.
good surface patina. The front flute reaches 3-5/8"
base. 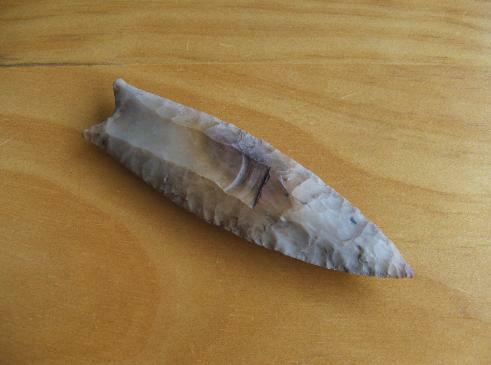 This Cumberland style point is 5" long x 1-1/16"
items, who attributes the point to a private site in St.
Cumberland style point is 4-1/4" long x 1-3/16" wide.